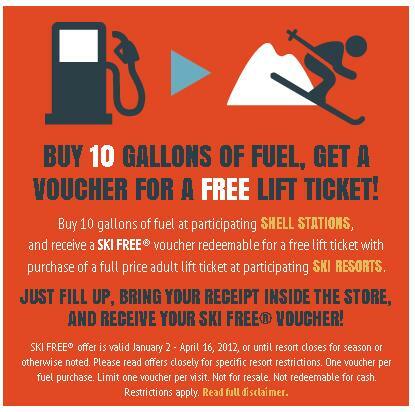 Shell Gas Station is offering a BOGO Free Lift Ticket at participating Ski Resorts when you purchase 10 gallons of fuel. The participating resorts in Colorado include Copper Mountain, Crested Butte, Loveland, Monarch Mountain, Powderhorn, and Winter Park Resort. There are also participating resorts in California, Oregon, and Michigan. For a few of the resorts there are black out dates. This deal is valid now through April 19, 2013. Read the detail here. 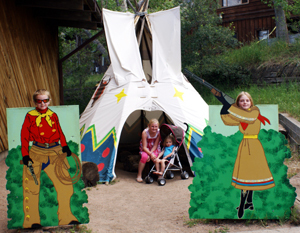 The Buffalo Bill Museum and Grave is located at 987 1/2 Lookout Mountain Road Golden, CO 80401. It is the place where the infamous Buffalo Bill is buried. You are able to walk up to his gravesite which also gives you a phenomenal view of Denver and there is also a museum dedicated to Buffalo Bill. 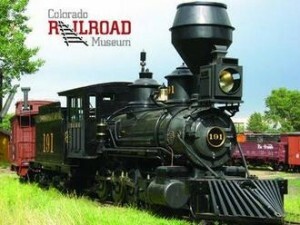 The museum costs $5 per adult and $1 per child (age 6-15). 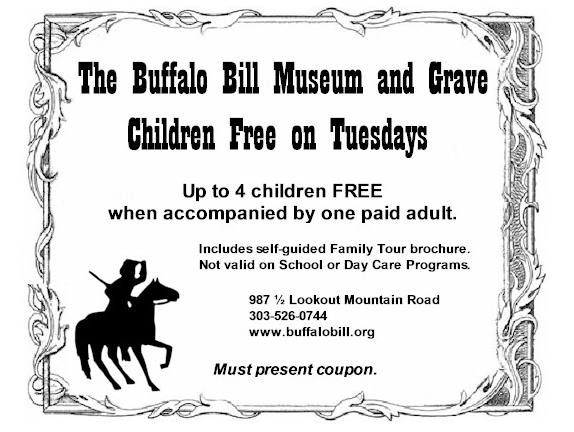 The below coupon will get children into the Buffalo Bill museum for free on Tuesdays with a paid adult. Print the Buffalo Bill coupon here. Mark your calendar for the last fee-free weekend in 2012. On November 10th-12th get into any Nation Park for free! If you plan to take a vacation in a big city this summer than take advantage of these $5 Entertainment Books. You will earn your money back after eating out one time! All 2012 Entertainment Books are only $5 with FREE SHIPPING when you join the Annual Renew Program ! 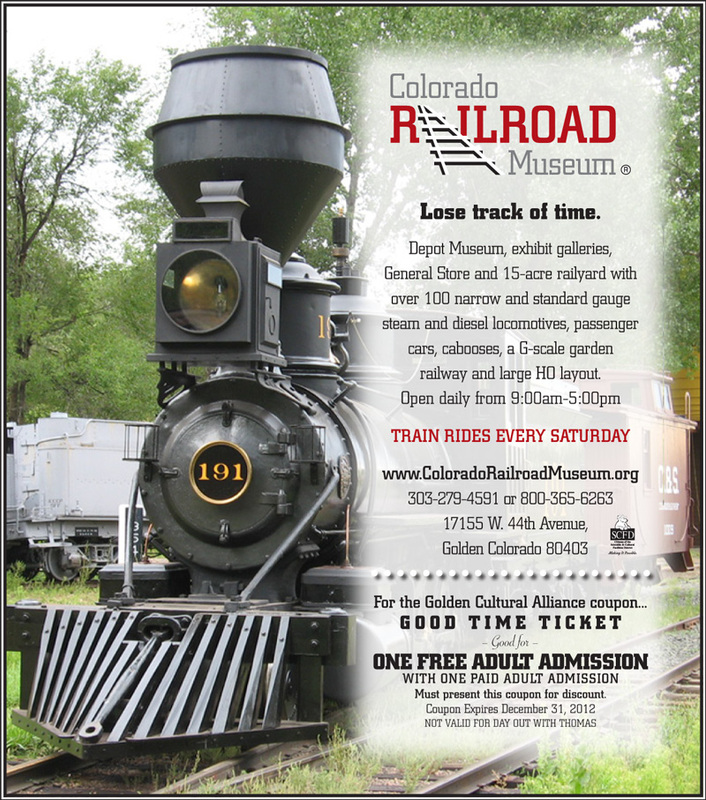 The first Sunday of every month you will be able to get FREE Admission into the Botanical Gardens in Grand Junction, Colorado. 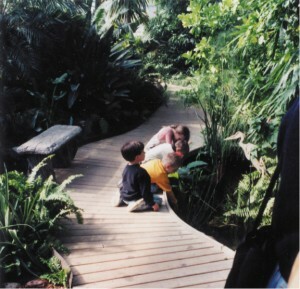 It is open from 10am – 4pm. 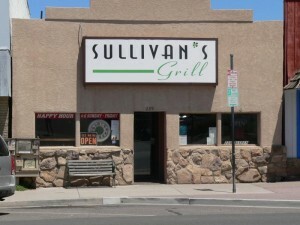 It is located at 641 Struthers Ave, Grand Junction, CO 81501. Visit their website for more information. 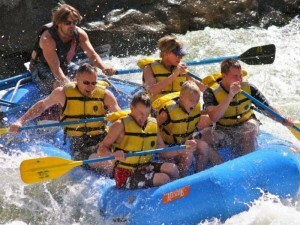 Blue Sky Adventures has won the Locals Choice Award for being the Best Rafting Company in Glenwood Springs, Colorado. To show their appreciation they are offering 20% off all rafting trips that are booked by 5/15/2012 just mention that you want the “20% discount from the Locals Choice Award Email”.